The Tragedy Of EU Membership Is Dawning On Other Victims! it is intereesting to note that although Britain had a Referendum in 1975 as to whether to stay in or Leave-The-EU, despite the outright lies of Edward Heath and other politicians, the organised propaganda in the media, the Givernment letters to the press listing cronies and individuals who enjoyed preferment as a result of openly stating their claim to pro EU membership views – The Referendum was an abysmal failure and as a result of the lies and spin of the politicians and their cronies the British people at large have had a near constant distrust and objection to membership ever since. Yes it is true the Government can wheel out armies of pro EU membership on their payrole and long lists of individuals who hope for preferment for supporting the Government line, not to mention many politicians of all levels who are easily bought by the sniff of an opportunity to join the EU Gravy Train in one manner or another. As I pointed out the concept of membership of this failed experiment does not sit easy with the British peoples and never has despite the bullying, lies and blackmail of their self serving so called political elite. Increasingly we are not alone and it may astonish some readers that to date the EU has NEVER had a clear and unequivocal vote in its favour on any issue from any single Country, Countries that have now to a greater or lesser extent surrendered their sovereignty and subourned their own Parliaments to vassal status of this behemoth, this failing giant thatdictates our Governance despite its utterly discreditted pretence at democracy. Let us not forget that not a single solitary Country’s peoples have voted by a clear majority foor any concept of a political union akin to the centralised political union run by unelected bureaucrats and the massive and obscenely costly armies of lackeys and lickspittles that comprise the EU’s governing bodies. This arcane concept was falsely passed off to the peoples as a Common Market based upon mutual co-operation, a concept of which there is no longer a vestige of evidence as it now tries to meld its dissident parts into a greater EUropean Empirate in some obecenely indifferent autonomic post democratic entity. There are clearly no honest reasons or evidence that the people of the entrapped Nations accept as a sound reason for continuance of this gross pantomime with its massive levels of unemployment, collective of failed and failing States, its expansive and increasingly militaristic posturings and it catastrophic EUro currency propped up with obscene levels of debt hidden by Quantitive Easing which can never eased back to liquidity without the crippling effects of negative interest rates and devaluation by stealth. Much is made of how well Britain has prospered by membership of the EU by the Government and EU funded spokesmen and women including the EU subsidised media yet consider for a moment the demise of almost every manufacturing industry in Britain since 1975, the increase in prison population, the lack of housing, the loss of our Steel production & our coal production, the burgeoning of terrorism, the damage to identity, the harm to our Justice system and the influx of EU citizens and others who are equally allien, the serial flooding, much of which is due to reduced funding for flood drainage maintenance. And so much more! Consider just two small financial facts – historically people saved so as to earn interest from their savings to supplement subsistence pensions yet now income from investments is unlikely to keep up with escalating costs and they must use their capital to maintain standards – then consider prices a 3 bedroom suburban house in an unfashionable suburb of London cost around £10,000 in 1970 yet now it costs approaching £1Million – have wages risen 100 fold to match the price rise? Consider a more mundane example where an inland postage stamp cost 4d. or 1:6oth. of £1 for an envelope of virtually any size to be delivered anywhere in mainland Britain within 24 hours that is 2p. the price now is based on a restricted size of envelope being delivered in the same time for 63p. or just over 12’6d. Have wages/incomes risen by over 30 times since 1970? In that same period we have lost our second post and the Royal Mail delivers tons of adverts and circulars to maintain and subsidise its service! Just what are the benefits of membership of the EU for I can see none – back in the 1960s I was able to travel the world on a fairly unrestricted basis and by 1970 had visited virtually every European Country, including several Scandinavian, Communist & Balkan Countries. British goods were to be found available for purchase all over the globe just as most foreign goods were available for purchase in Britain. Probably the greatest change of note is that Britain had a global network of partners in the form of the Commonwealth and also the Anglosphere not just the restricted collection of neighbours in continental Europe! We sourced lamb from New Zealand and Australia and beef from the Argentine and Botswana and I never read of British lorries being stopped and having their cargos destroyed at the roadside by French farmers. Also it is worthy of note that until we joined this odious Union British troops were never to be found acting as mercinaries in Countries like Sierra Leone, Iraq, Afghanistan or Libya – British military were there to uphold British values and peace alongside our Commonwealth allies whom we mutually defended and to uphold the peace in Europe which was achieved by Nato which in real terms meant ASA, UK and Canada often deliberately hindered by France or Spain! You will note that now, because of the antipathy the peoples of Britain hold for this EU scam it would seem that not only are Denmark calling for a Referendum but the Netherlands are close behind them and even the peoples of France are starting to call for the opportunity to vote – of course Greece has now collapsed so far that it could barely call for a referendum as it is a dependent failed state, as a result of the dishonest construct when the Euro was launched, meanwhile Italy and Portugal can hardly claim they have benefitted nor does the unemployment in Spain indicate a benefit. We now see Germany turning on its masters over the issue of immigration and Swerden is in a callamitous state – just what is the purpose of this odious EU Empirate beyond enriching a small claque at the expense of the greater population of Europe? MORE European Union turmoil is looming with more than 30 per cent of Danes signalling they would vote to leave Brussels if a referendum was held tomorrow. 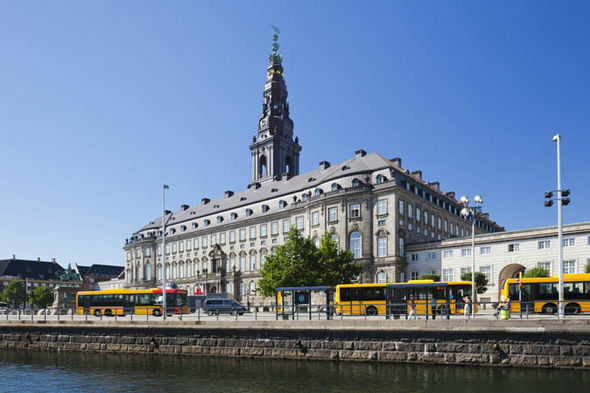 The cross-party campaign platform argues after 40 years as members of the 28-strong block, it was time to give the next generation of Danes a vote. It has now launched a petition to force the government’s hand on the issue. The latest poll shows those signalling a wish to remain were at 56 per cent, with 11 per cent undecided, showing a slim majority to stay in the EU. The movement, which saw its support grow by 0.9 per cent in the last EU parliament election in May 2014, has gained more than 1,200 new members and is holding its biggest party conference in over 20 years this weekend. It has also enjoyed increased support after it managed to get a ‘no’ vote for the abolition of the Danish legal reservations in December. 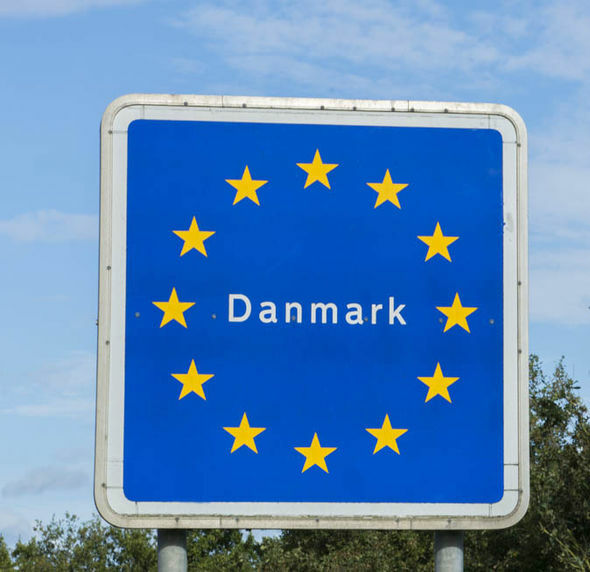 The no vote means that Denmark will continue to only participate in parts of the EU’s legal policy cooperation where a Danish minister can block a decision. Despite the growing support for the anti-Brussels party it is meeting resistance from the country’s leadership. According to EU spokesman Kenneth Kristensen Berth, of the Danish People’s Party, the call for an EU referendum came at a bad time. 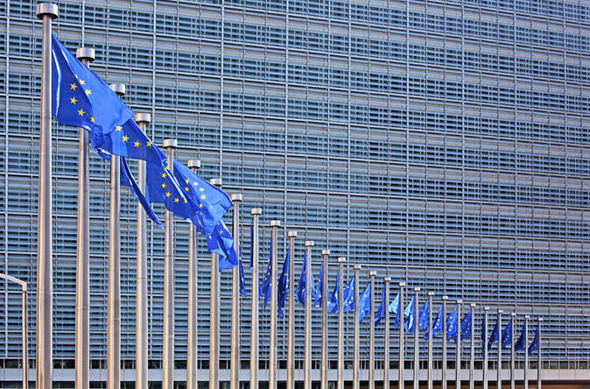 THE European Union (EU) bureaucrats have come up with some bonkers directives. 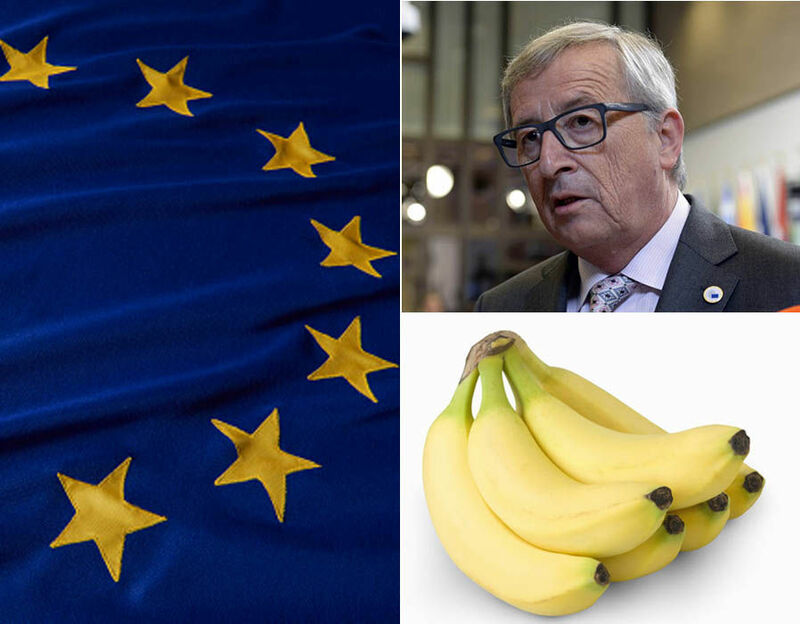 Here are the top eleven unusual rules proposed by Brussels that seem too barmy to be true. 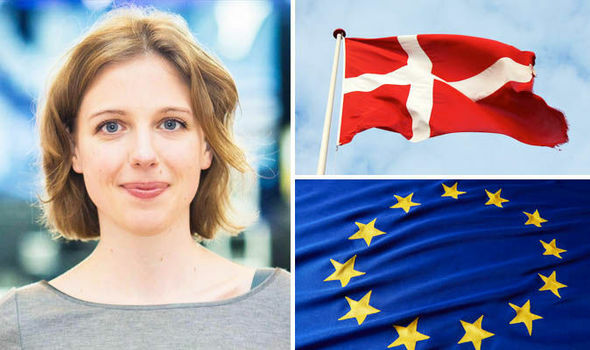 The call for a Danish vote comes it a poll revealed that if Turkey was allowed to join the EU it would make a third of Britons more likely to back leaving Europe. Even among those who said they intended to vote for Britain to remain part of the EU, more than a quarter (25.6 per cent) said Turkey’s accession would make them more likely to vote to leave.